At the end of every work day, each foreman sends me a few pictures of the day’s progress. Â Here’s one that Aniceto sent recently. 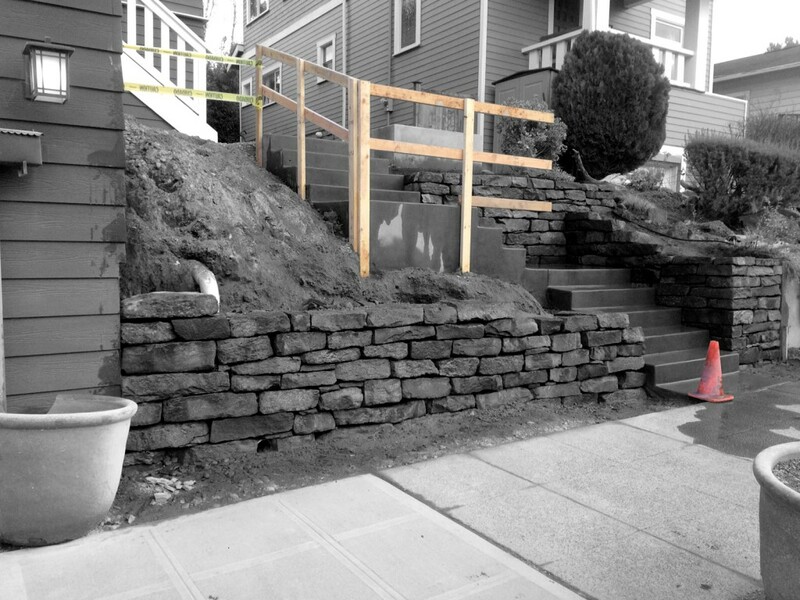 In addition to seeing the progress of this stone wall near Green Lake, the picture shows a few other elements that are an important part of every SEI job: Â safety and tidiness. Â Note the temporary guardrail at the landing and caution tape at the top of the slope and that all tools are put away and the work area is clean.